As a resident of the United States and in need of a reliable,cost effective orthopedical procedure, I chose Dr. Mendoza in lieu of other facilites researched in Central America and am extremely pleased with the results. The medical care, personal attention, and professionalism received from Dr. Mendoza, his staff, and clinical personnel was of the highest quality and I couldn't have asked for better, anywhere. Even after arriving back to the U.S., Dr. Mendoza and his staff continued follow-up communications to ensure my recovery was a success. Thank you again for a job well done. Undergoing hip replacement surgery in Mexico might be one of the most demanding decisions you ever make. Premier hip replacement surgery in Mexico delivers first-rate orthopedic care with the most focused detail in educating the patient on all treatment options, surgical risks and the process of rapid recovery. If you suffer from arthritis or from severe pain in the hip, it’s time to restore your mobility, regain your independence, and return to an active lifestyle. Pain and damage can limit your freedom and push you to the point where you are completely staying off” the joint — which often weakens the muscles. What can you do to eliminate pain? Are you a good candidate for hip replacement surgery? Our hip replacement guides will get you back on the fast track to mobility and stress-free life. Total joint replacement surgery is one of the most significant surgical developments to date. Surgical practices and implant progresses have greatly amplified the effectiveness of hip replacement surgery in Mexico. Hip replacement infuses metal and ceramic components which replace the ball and socket of the hip. The head of the thighbone is interchanged with a high strength stem that is connected to a smooth metal or ceramic ball. The ball articulates with an immensely robust insert positioned in a metal cup that is surgically implanted into the pelvis. Premier hip replacement surgeon, Dr. Oscar Mendoza, offers an objective and empathetic diagnosis to hip pain, and exemplifies a forte for understanding arthritis and the skilled aptitude of hip replacements. 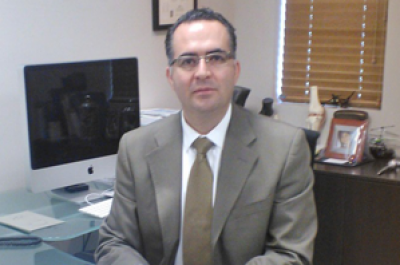 Dr. Oscar Mendoza prides himself on providing cutting-edge technologies for joint issues. Dr. Oscar Mendoza and his entire surgical team are on dedicated to educating patients about orthopedic care—hip and knee replacement Mexico treatments—and the prevention of further injuries or unprovoked pain. Arthritis defers to the inflammation of a joint. As we age, inflammation can be the main passage to cartilage loss and exposed bone, instead of a typical, smooth joint surface. The most collective type of hip arthritis is osteoarthritis—the wear and tear of hip mobility. Osteoarthritis consequences the wearing away of the smooth cartilage. If you are suffering from arthritis in the hip, learn the advantages of hip replacement surgery. An open invitation to hip replacement surgery in Mexico awaits you! Hip replacement Mexico gives you exclusive access to devoted, world-class care, minimally invasive types of hip replacement surgery and the simplicity of travel. Orthopedic tourism in Mexico has become more widespread along with the higher demand for hip replacement surgery in Mexico. Dedicated patient coordinators ensure your personal satisfaction in helping you arrange for air transportation, hotel accommodations and world-class destination retreats to relax and recover before and after surgery. The state-of-the art facilities of Dr. Oscar Mendoza are easily accessible, allowing you to focus on your surgical preparation and relaxation. Traveling for hip replacement surgery gives you a chance to explore Mexico’s spectacular sights and affords individuals a wealth of benefits. Hip replacement surgery in Mexico is committed to excellent service, innovative facilities and surgery you can afford. For patients in the US without health insurance, a hip replacement hinders their way of life by exceeding costs of $30,000 – $45,000. Patients with health insurance in the US typically still shell out thousands of dollars in out-of-pocket expenses. The varying costs of hip replacement include the pre-op tests, initial hip replacement medical evaluation, hospital fees and surgeon’s fees. Hip replacement surgery in Mexico can channel these expenses into savings of over 60%. Instead of living with pain and reduced mobility, you can join the thousands of patients who are traveling to Mexico for hip replacement surgery at affordable costs. By delivering world-class affordable hip replacement surgery, Dr. Oscar Mendoza and his elite staff make it easier for you to achieve the orthopedic superiority of life you desire.